This book is a study of the scientific revolution as a movement of amateur science. It describes the ideology of the amateur scientific societies as the philosophy of the Enlightenment Movement and their social structure and the way they made modern science such a magnificent institution. It also shows what was missing in the scientific organization of science and why it gave way to professional science in stages. In particular the book studies the contributions of Sir Francis Bacon and of the Hon. Robert Boyle to the rise of modern science. The philosophy of induction is notoriously problematic, yet its great asset is that it expressed the view of the Enlightenment Movement about science. This explains the ambivalence that we still exhibit towards Sir Francis Bacon whose radicalism and vision of pure and applied science stilla major aspect of the fabric of society. 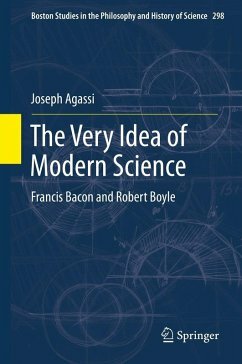 Finally, the book discusses Boyle’s philosophy, his agreement with and dissent from Bacon and the way he single-handedly trained a crowd of poorly educated English aristocrats and rendered them into an army of able amateur researchers.